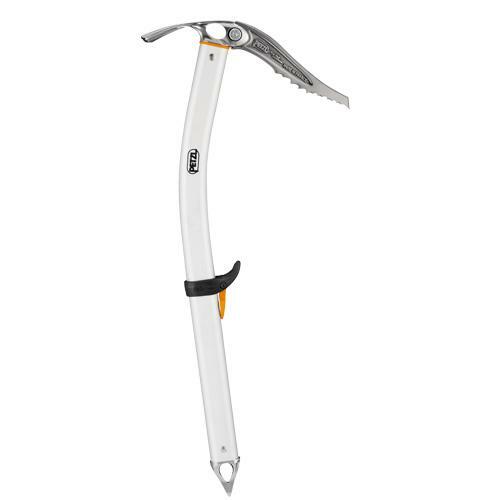 A lot of what I keep saying in this site is that you really need to find an ice axe that fits your style and your budget and that you shouldn’t get too hung up on having the perfect piece of kit. Then along comes something that blows that advice away. In the case of the Petzl Sum’Tec, however, you just have to look at this. It is not cheap by a long shot, but if you’re into climbing, this is an awesome climbing axe that is well designed, incredibly well thought out and well loved. This is one of the heavier ice axes we tested and a little overkill for moderate routes. But if you climb a lot of steeper terrain, this ice axe is tough to beat.